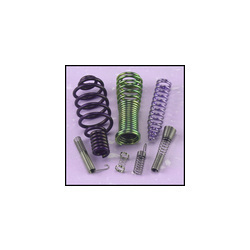 Prominent & Leading Manufacturer from Howrah, we offer conical springs and coil conical springs. 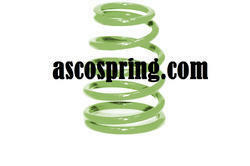 Asco manufacture our offered Conical Springs from high grade raw material, sourced from our reliable and trustworthy sources. The superior quality of raw material ensures its high tensile strength, durability and reliability, dimensional accuracy, variable pitch, small solid height, increased lateral stability and reduced vibration. The large end of the conical spring works in a bore, whereas the small end works over a rod. We provide these spring in various sizes and can be manufactured as per the specifications or requirements of our clients. We manufacture our offered Coil Conical Springs from high grade raw material, sourced from our reliable and trustworthy sources. The superior quality of raw material ensures its high tensile strength, durability and reliability, dimensional accuracy, variable pitch, small solid height, increased lateral stability and reduced vibration. The large end of the conical spring works in a bore, whereas the small end works over a rod. We provide these spring in various sizes and can be manufactured as per the specifications or requirements of our clients. Larger gap is provided between the successive coils, made by round wire, which is wrapped in cylindrical shape with constant pitch between the coils. The spring expands and contracts as the load whenever the load is applied. Looking for Conical Springs ?